In a large frying pan over high heat, melt the 2 tablespoons of butter and add mushrooms. Cook stirring often until lightly browned, about 5 minutes. Butter a 10 inch quiche pan and sprinkle cheese in the bottom. In a small bowl, mix cream, mustard, thyme, salt and pepper. Pour just half of the cream mixture over the cheese. 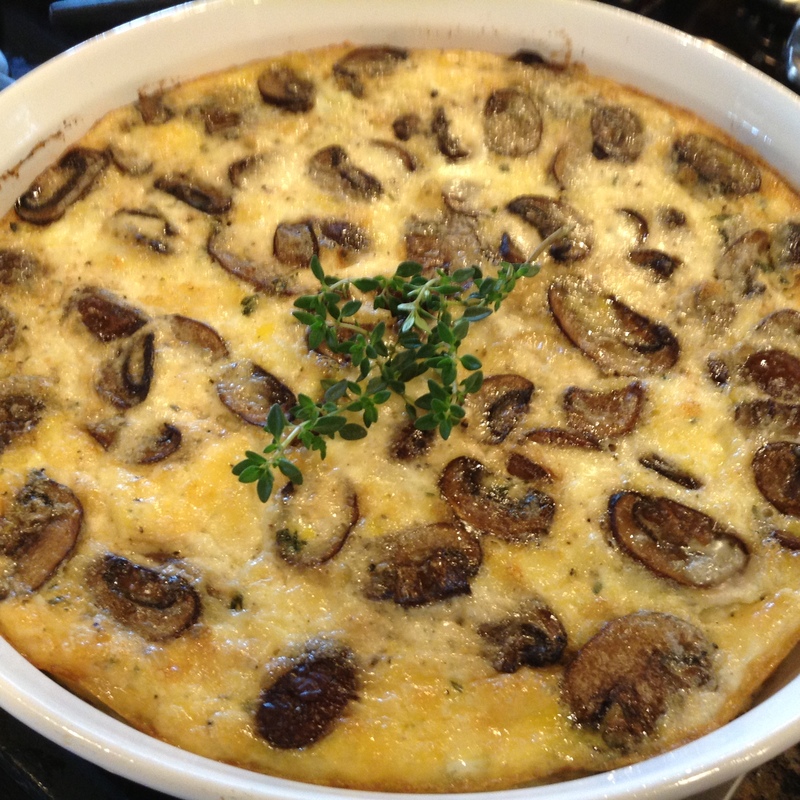 Top with mushrooms and eggs. Pour remaining cream mixture over the top. Bake until eggs are set, about 35 minutes. Thanks Arielle! I just made this yesterday for my bible study girlfriends for brunch. It was a hit! i love cheese and mushroom. this looks divine!